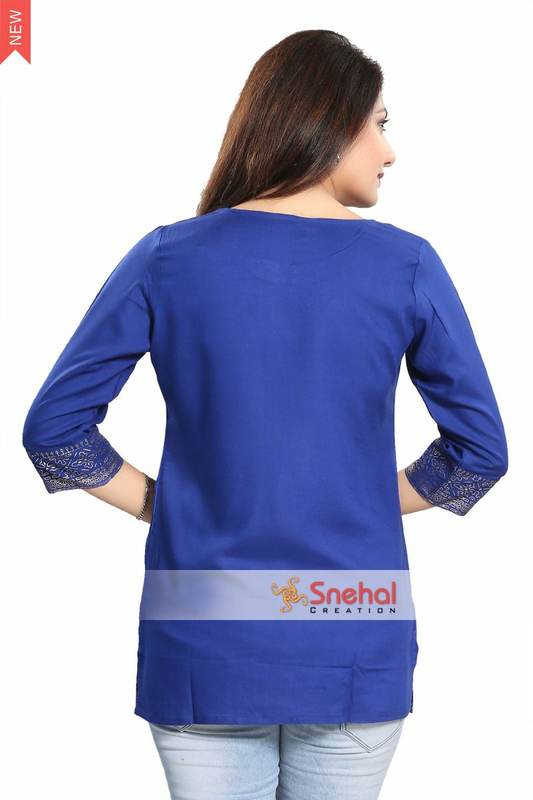 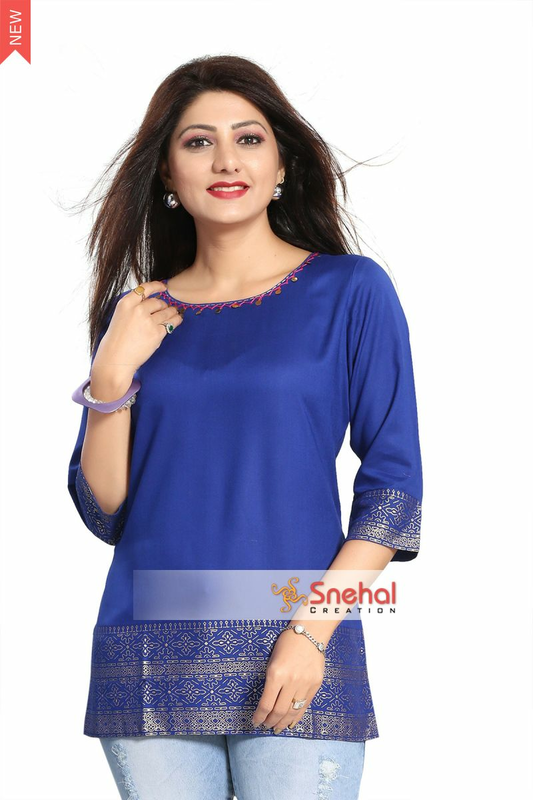 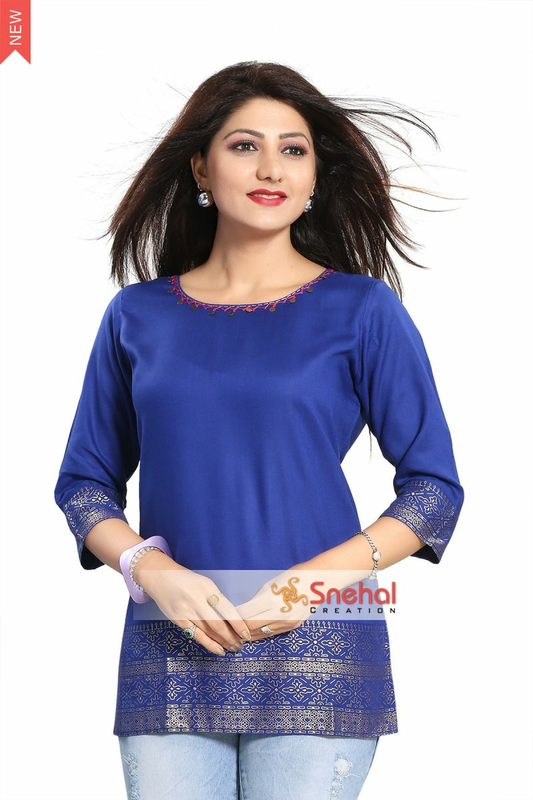 Create a sense of opulence in your wardrobe with this Rich Look Blue Rayon Cotton Short Kurti for Girls from Snehal Creations. 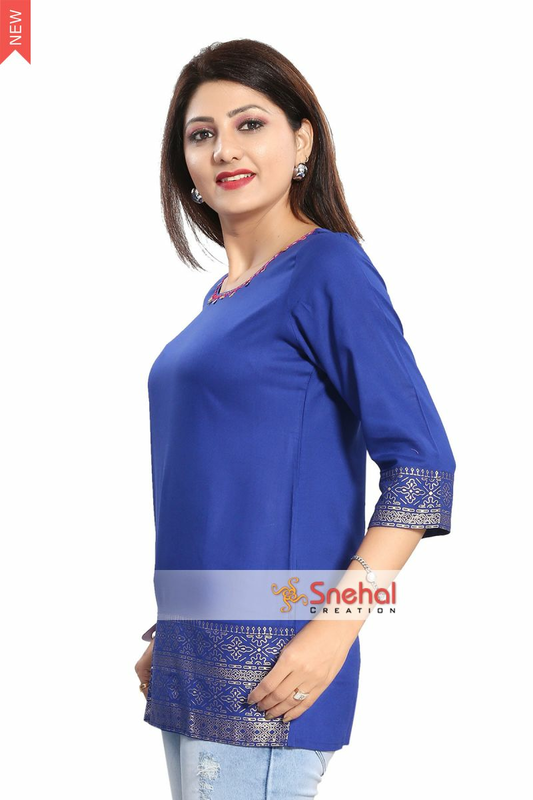 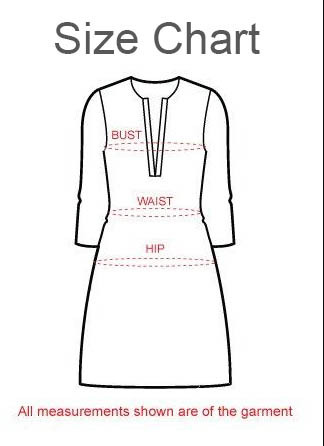 This simple piece of tunic has a round neck has delicate thread work adorning it. 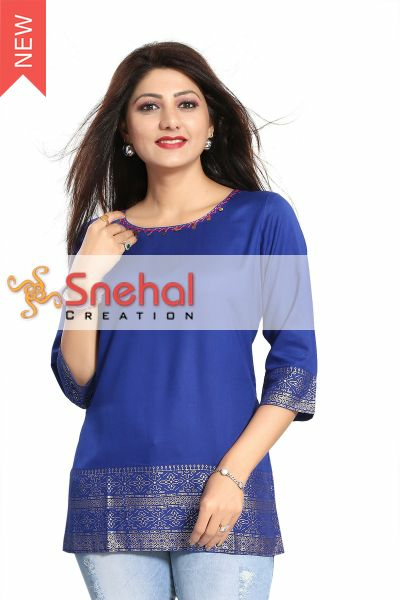 Glittery silver geometric patterns decorates tunic at its base and at full sleeve edges.